One dozen long stem roses, water tubes, boxed with ferns and baby’s breath. NOTE: Delivery and Drive Thru orders cannot be combined. Please place separate orders for each order type. To order delivery to more then one address, a separate order per address is required. Disclaimer: All arrangements may be arranged differently from those shown in the respective pictures. An arrangement is always unique and may vary from the picture. 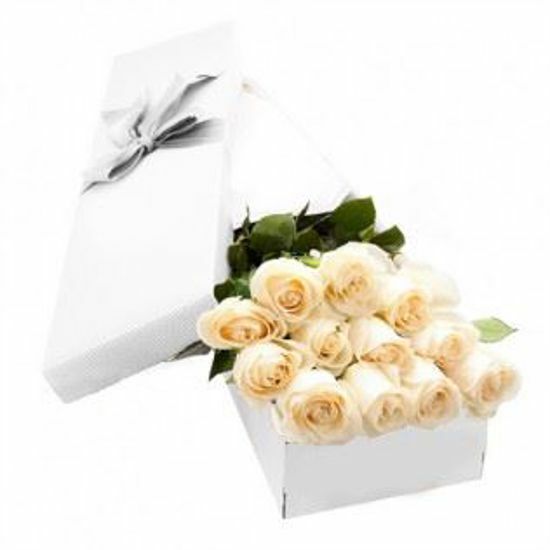 The flower type, size, colors may vary according to seasonal availability on the specified date of delivery. If the specified flower/product is not available, then suitable alternative will be sent.